Angela Graham pays tribute to an aspect of the engagement of academic research in the development of media policy for Wales. “Wales is disproportionately reliant on higher education for R&D compared with the rest of the UK”. Does this assertion from the IWA’s hot-off-the-press report ‘The Single Market of the Mind: Education and Culture in Wales after the Europe referendum’ hold true in the field of media and cultural studies? I do know that media policy development in Wales needs the input of academic researchers. During the five years I spent at the School of Journalism, Media and Cultural Studies (JOMEC) as a professional tutor in documentary practice, I gained an increased appreciation of the potential of interactions between researchers and practitioners. Academics have their own ways of feeding into the policy mix but I would like to highlight some contributions to the work carried out in connection with the Institute of Welsh Affairs. The IWA’s Media Policy Group, which I’ve chaired for the last two years, in the wake of JOMEC’s own Prof Richard Sambrook, has consistently sought to encourage collaboration between academia and the media during a very busy period of consultation and change in the media landscape. 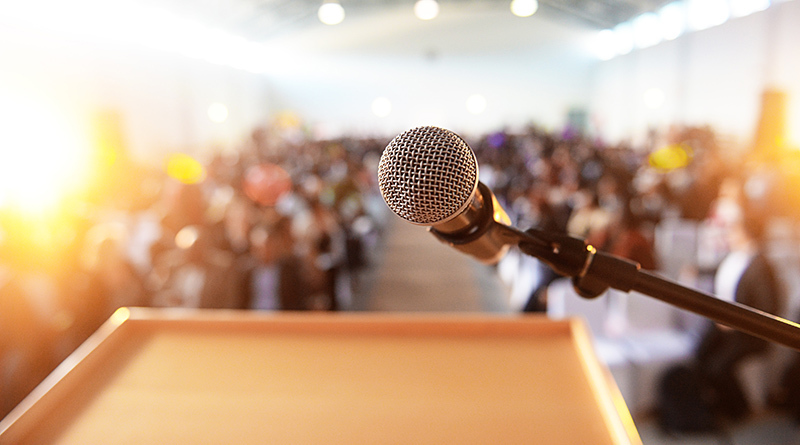 On 29th March the third Cardiff Media Summit will be held. The previous summit, in November 2015, was attended by 7 of the 8 Welsh universities whose work on media-related issues was prominently displayed. Feedback was very positive from both academia and the media and inputs into summit preparation were much appreciated. 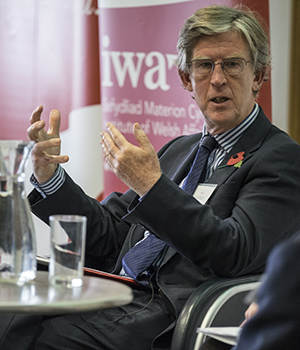 Professor Ian Hargreaves speaking at the Cardiff Media Summit 2015. This month’s summit shows a strikingly greater integration of academics within the programme. Three of the four sessions are chaired by academics. Cardiff University’s Prof Ian Hargreaves starts the summit with a session in which Claire Enders (Enders Analysis) surveys the challenges facing media provision in Wales in a global context, with reference to the summit themes. Dr Caitriona Noonan chairs the session on the future of the workforce. Academics from other institutions appear alongside industry figures as panellists. Month by month, JOMEC’s Sian Morgan Lloyd and Emma Meese have, as Group members, helped to shape both the summit and some of the Group’s other output. For the pre-summit, media-focused blog collection (#iwamedia), Prof Justin Lewis and Dr Stephen Cushion have contributed a hard-hitting and precise bullseye of a piece on how network news struggles with the realities of devolution, due to run on Wednesday 22nd March. Blogs by staff from the Universities of Bangor and South Wales will also feature and other universities plan to attend the summit itself. Dr Jamie Medhurst (and till very recently, Prof. Tom O’Malley) from Aberystwyth and Dr Dyfrig Jones from Bangor are Group members. The Wales Media Audit 2015 contained an essential review of thinking on Welsh media policy which was undertaken by Dr Ruth McElroy and Dr Christina Papagiannouli of USW, along with Hywel Wiliam of AIM Ltd (Group Secretary), and the assistance of a WISERD grant. WISERD is a collaboration between the Universities of Aberystwyth, Swansea, South Wales, Cardiff and Bangor. One of its four aims is to strengthen the impact of social science research on the development of policy in the public, private and third sectors through a focus on knowledge exchange and engagement. Funding research and joint working is always a challenge but both are valuable and essential. Impact and engagement are things the media industry is crying out for. In Wales, the stakes are very high, because, often, the country does not receive the research attention and consideration it deserves in terms of its particularities. The IWA’s Media Policy Group has evolved − academics and practitioners together − a pragmatic methodology to work towards getting the best of and for both our worlds. But we can do more, and better.